We’re just a year away from the High-level Political Forum (HLPF) of 2019. 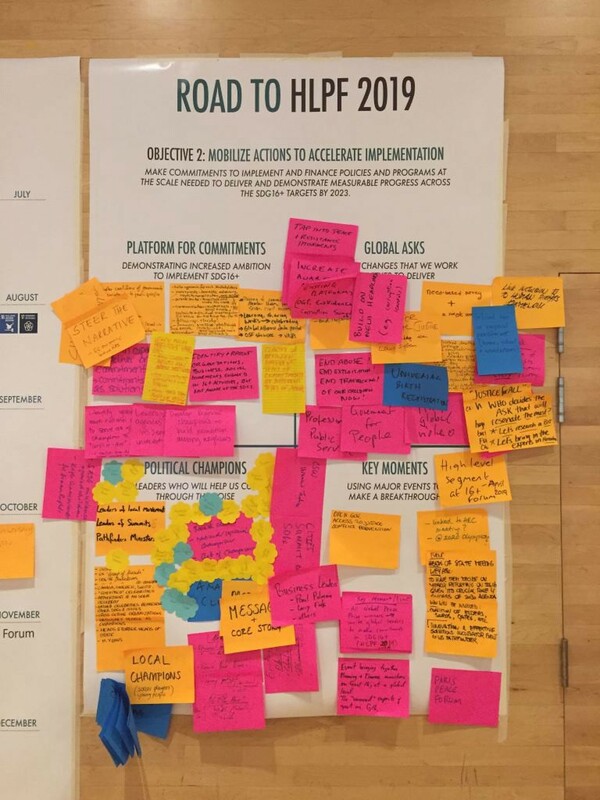 Last week in New York, partners gathered to plan how to seize this unique opportunity to increase ambition for the Sustainable Development Goal (SDG) targets for peace, justice and inclusion. David Steven — who leads work on the Pathfinders for Peaceful, Just and Inclusive Societies for the NYU Center on International Cooperation — reflects on the retreat and why it’s time to stand up for SDG16+. For the first time in 2019, there will be not one HLPF but two. In July, ministers will gather to review SDG16 and SDG10. The theme: empowering people and ensuring inclusiveness and equality. In September, the world’s leaders will gather for a four-yearly review of all 17 SDGs. The 2030 Agenda asks them to mobilize further actions to accelerate implementation. For those working on SDG16+, this is a unique opportunity. The theme of the ministerial HLPF encapsulates what we are trying to achieve as a community, while the review of SDG16 offers an opportunity to take stock of what has been achieved so far. Momentum from July will help us drive peace, justice and inclusion to the forefront of leaders’ discussions in September, carving a place for SDG16+ alongside traditional development priorities such as health and education. 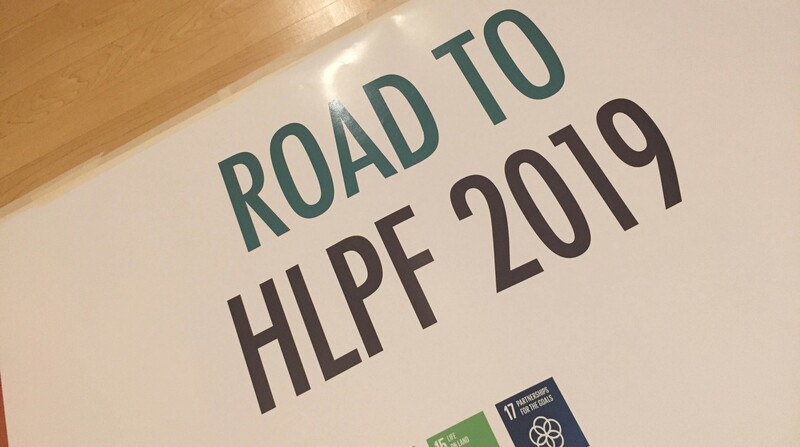 At the request of a group of UN member states, the Pathfinders worked with the Global Alliance for Reporting Progress on Peaceful, Just and Inclusive Societies, and the 16+ Forum to map the road to the 2019 HLPFs. Demonstrate progress and results — through quality reporting that celebrates success and identifies what has been achieved. Mobilize actions to accelerate implementation — through new commitments to implement and finance policies and programs at scale. Build a movement for peaceful, just and inclusive societies — drawing on the strengths of governments, the private sector, civil society, international organizations and other partners. Consolidate links to all 17 SDGs — reflecting the two-ways links between peace and sustainable development. Last week, partners came together to discuss the paper and to map out plans for the year ahead. There was a palpable air of excitement but also a growing awareness of the daunting scale of the task ahead. Stand up for SDG16+. On Friday, we discussed the powerful forces that are feeding conflict, insecurity and division in our societies. SDG16+ acts as a counter-narrative and a practical focus for action, but only if we’re prepared to work relentlessly to support and promote it. Good progress has been made in the past year, with the roadmap providing an agenda for action. But we need to pick up the pace if we’re to fully grasp the opportunity the HLPF’s present. Focus on solutions. It’s easy to get lost in discussions of goals, targets, indicators and abstruse processes, but that’s not what resonates in the real world. SDG16+ offers us a common language for aligning strategies across countries and sectors, but our headline messages should highlight solutions to the problems that people care about most. Preventing violence. Transforming institutions. Fighting for justice. Including people who feel shut out from their societies. Build the movement. At Friday’s workshop, I showed this fantastic video on movement-building. It captures how much work we need to do to bring together the scattered ‘tribes’ working on SDG16+ and to gain the visibility that will inspire growing numbers of champions to stand up for peace, justice and inclusion. The final session of Friday’s workshop saw participants stand up (literally) to identify the contributions they will make in the year ahead. We now have the nucleus of a ‘guiding coalition’ to take a bigger mobilization forward. Unite around compelling “asks”. The future of SDG16+ rests on more ambitious national commitments on implementation. Travelling to pathfinder countries, I see potential for countries to make these commitments at the HLPF in 2019 (and possibly to record them in a register of national voluntary commitments). The Open Government Partnership, Global Partnership to End Violence against Children, Task Force on Justice and other platforms can help support countries as they commit to do more. But SDG16+ also needs some global asks. What’s the equivalent of ‘plastics’ that did so much to rally the oceans community? The three initiatives will soon publish an updated version of the challenge paper and will keep updating the SDG16+ calendar that maps out key events for the year ahead. We will also hold a webinar at 9–10:15 a.m. on July 10 for those who weren’t able to join us in New York. 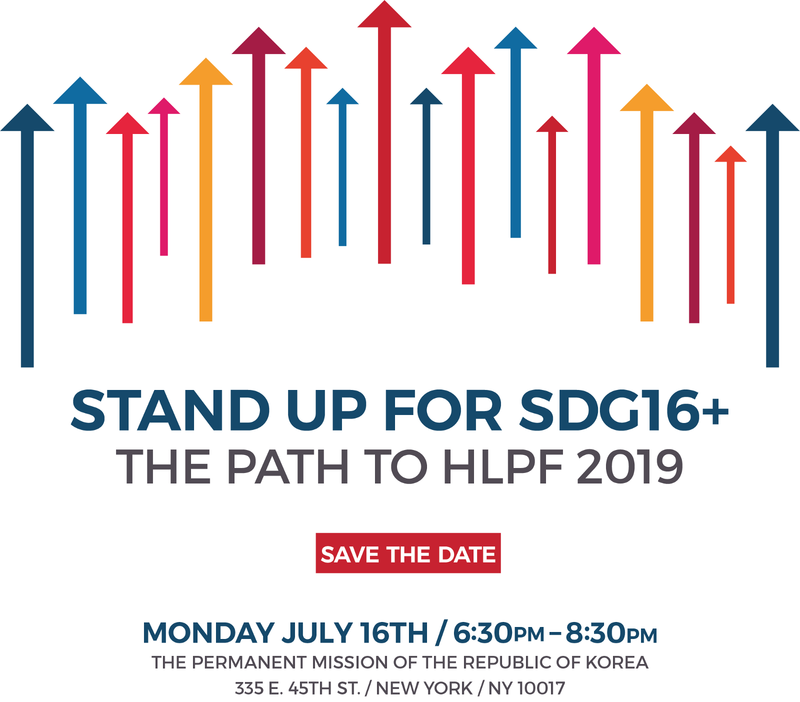 Our next rallying point is on July 16, when we will start the countdown to the 2019 HLPF. Join us at the Korean Mission for a reception if you’re ready to stand up for SDG16+. The Pathfinders are a group of member states, international organizations, global partnerships, and other partners working to accelerate delivery of the SDG targets for peace, justice and inclusion (SDG16+). Co-convened by the NYU Center on International Cooperation (CIC).